Your field workforce needs a mobile computer to access the people and information required to maximize efficiency and better serve your customers. 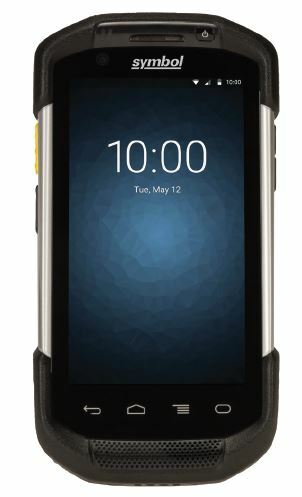 You want to give them an enterprise-class handheld built for life out in the field — yet your workers expect a device that is every bit as refined and easy-to-use as their own consumer smartphone. Introducing the TC75, the Android mobile computer that delivers it all. A rugged design that delivers reliable everyday operation. Anywhere anytime access to virtually any information in your back-end systems. The ability to capture more types of data faster than ever before. Instant push-to-talk communications with co-workers out in the field as well as supervisors, dispatch and more back in the office. Fast data access with support for all 4G GSM cellular networks. And a full complement of accessories meets the unique needs of virtually any mobile worker. The TC75 — the easy way to empower your field teams with a true mobile office. Every TC75 ships with Mobility Extensions (Mx), a series of features that transform AndroidTM from a consumer operating system (OS) to a true enterprise-class OS, providing enterprise-class security and device management, as well as enterprise data capture capabilities. Let your users choose their preferred data input pair: finger and gloved finger or finger and stylus — ideal for crisp signature capture. The intelligent 4.7 in display automatically adjusts as needed, unlike competitive devices that require setting adjustments every time the user switches data input method. 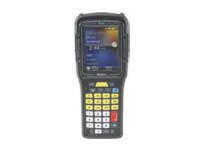 An integrated enterprise-class imager offers Zebra’s proprietary PRZM Intelligent Imaging technology, a megapixel sensor and advanced optics, enabling the lightning-fast capture of 1D and 2D bar codes in virtually any condition. The 8 MP camera enables the easy capture of high-resolution photos, signatures, videos and more, so workers can capture more types of business intelligence to streamline more business processes. The front camera allows workers to place a video call to get the on-the-spot assistance they need. And Near Field Communications automates identity verification at facility entry points. With SimulScan Document Capture, your workers can simultaneously capture bar codes, text fields, phone numbers, images, signatures and even check boxes in the time it takes to press a button, improving invoicing speed, order speed and more. Up to four times the loudness of popular smartphones and noise cancelling technology provides crystal clear audio on both ends of every call. 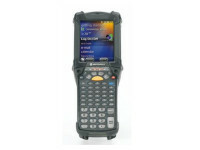 Support for Workforce Connect Push-to-Talk (PTT) Express and Pro provides an instant connection to co-workers in the field, plus supervisors and other support staff back in the office. Every strand of your mobility platform is simpler with Zebra’s Mobility DNA. That’s because, from the start, you have the industry’s most comprehensive suite of mobility must-haves to accelerate your solution. More off-the shelf end-user apps, more robust administration utilities and easier app development. Purpose built for enterprise, Mobility DNA makes ease, confidence and value intrinsic to your investment and our full line of Android mobile computers. Accessories include a flexible vehicle cradle for charging — even with snap-on accessories attached. 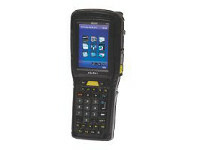 A magnetic stripe reader enables mobile payment. 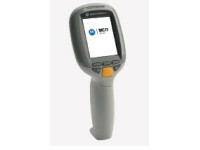 The field attachable trigger handle brings comfort to scan intensive tasks. Select Zebra Bluetooth printers enable anywhere anytime printing. And backroom management is easier and more cost effective than ever thanks to our unique ShareCradle System that accommodates the TC75 and future Zebra mobile computers. The TC75 delivers reliable operation, even after multiple 8 ft./2.4 m drops to concrete and 2,000 consecutive 3.2 ft./1 m tumbles in our punishing tumble test. With IP67 sealing, the TC75 is dust-tight and can survive complete immersion in water. And the Corning Gorilla Glass touch panel and scanner exit window bring a new level of durability to two of the most vulnerable components on any handheld device. Workforce Connect PTT Express (included) for instant PTT calls between workers inside the four walls; Workforce Connect PTT Pro (supported) for PTT calls and text messaging over Wi-Fi and cellular networks; Workforce Connect Voice client (supported) to enable PBX handset functionality and more inside the four walls. ISO 14443 Type A & B, FeliCa, and ISO 15963 cards. Secure NFC via SAM supporting Mifare, Calypso and FeliCa. P2P mode and Card Emulation via UICC and Host. Accessories include: 2-slot, 5-slot charge-only and USB/Ethernet ShareCradles, spare battery chargers, MSR, trigger handle, soft and rigid holster, charge-only vehicle cradles, audio solutions and more. For a complete list of accessories, please visit the Zebra product page. Stage Now: Easily stage a handful or hundreds of Android devices by scanning a bar code or tapping an NFC tag. Enterprise Browser: Next-generation industrial browser to migrate legacy web-based apps or easily create new apps with todays’ highly-graphical and intuitive user interfaces. EMDK: Created to complement Google’s Software Development Kit for Android, Zebra’s EMDK provides a comprehensive toolkit to make it easy to integrate all the functions in our enterprise-class Android devices, from bar code scanning to payment processing. AppGallery: Zebra’s Android enterprise app store makes it easy to find, deploy and manage ready-to-use business apps on any Zebra Android device.